Heating oil is New England’s favorite way to heat their houses, and where we know what cold winters are like, there is something to be said about 8 million Americans who enjoy home heating oil. 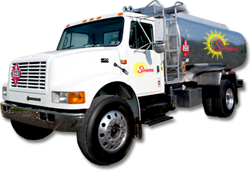 Sunshine Fuels wants you to know that we deliver safe, reliable, and eco-friendly heating oil directly to your door, with the click of a button or ring of a telephone. Now, you don’t even need a click of the mouse to get fuel delivered to your home! With Sunshine’s automatic delivery option, we monitor your fuel usage to make accurate predictions of when you will need another delivery, based on temperature and home heating preferences and practices. When you sign up, you will experience our customers’ favorite heating service all winter long. Our online payment system makes it easy to order and manage your account online. Heating oil is non-toxic, non-explosive, and safe for your family. You can even house your tank inside your home. Other fuels have toxic gasses and leaks, or they risk explosion. Not with heating oil!